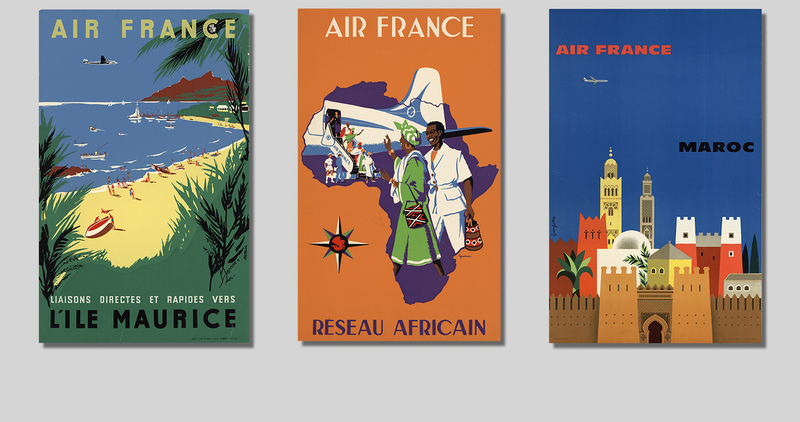 Discover Air France's historical destinations, soon. In September 1966, the Boeing 707 “Château de Cheverny” inaugurated the Paris-Shanghai route, after a flight time of 22 hours and 25 minutes and 4 stop-overs in Athens, Cairo, Karachi and Phnom Penh. The world of Air France has inspired generations of talented designers – poster designers, illustrators, graphic designers, film-makers, photographers, choreographers, and more – who have all helped to create its marketing image. Stockholm, Tunis, Santiago de Chile, Saigon... In 1933, Air France already had an impressive network.